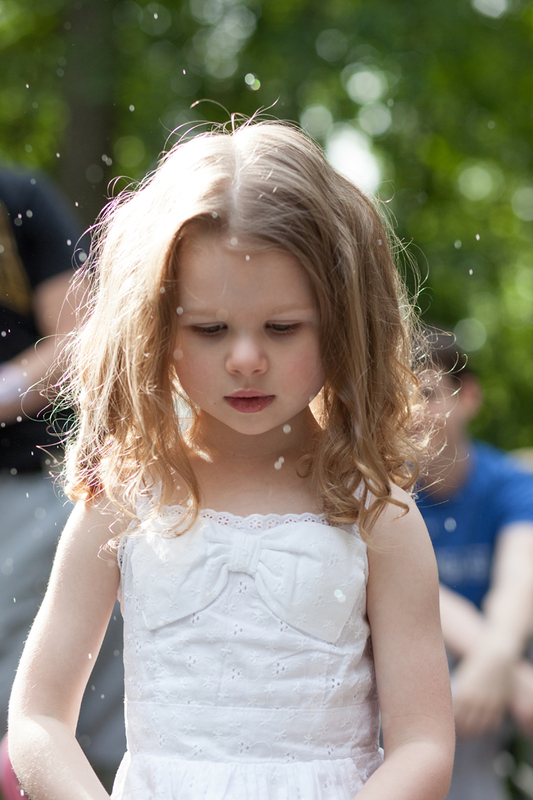 Here are more photos from my granddaughter’s 4th birthday party. This is a long post with many photos. Please click on a photo to see a larger version if you wish. 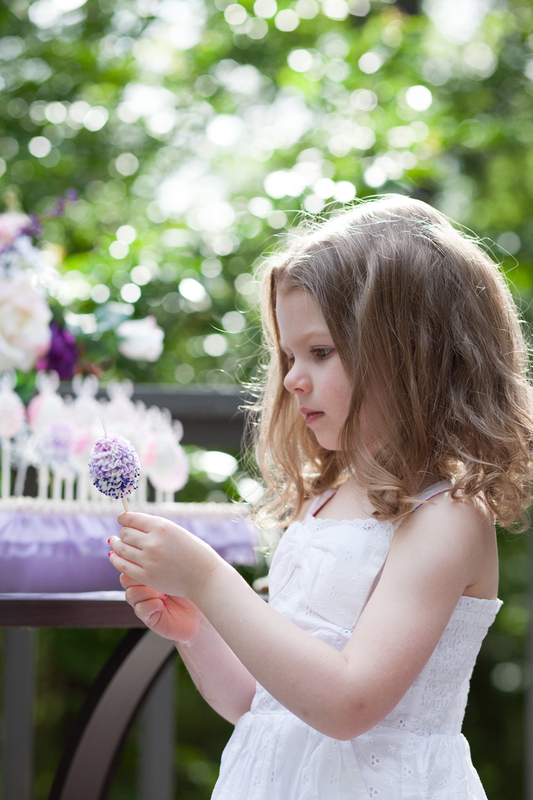 I made Ballerina Cake Pops for her in her favorite colors, purple and pink. I drew little ballerinas on white plastic cut from clean buttermilk jugs. Then I carefully cut them out using embroidery scissors. 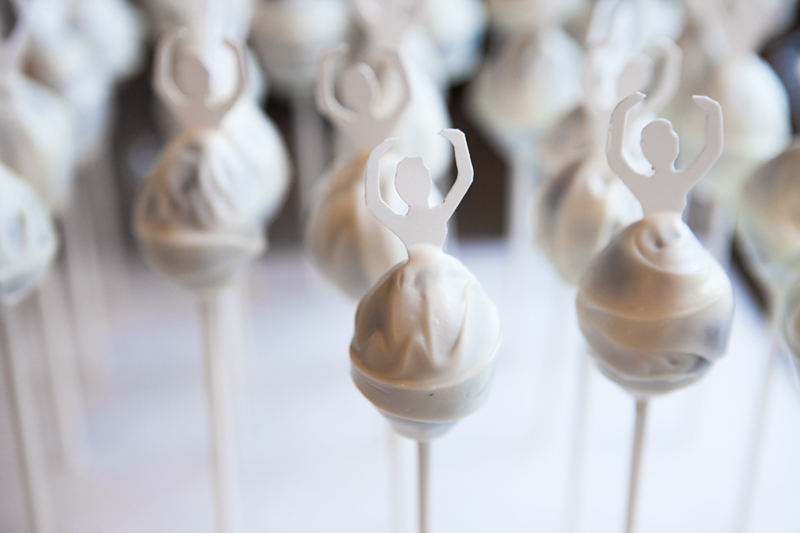 The cake balls were made and chilled and then I inserted the ballerina into the cake ball. 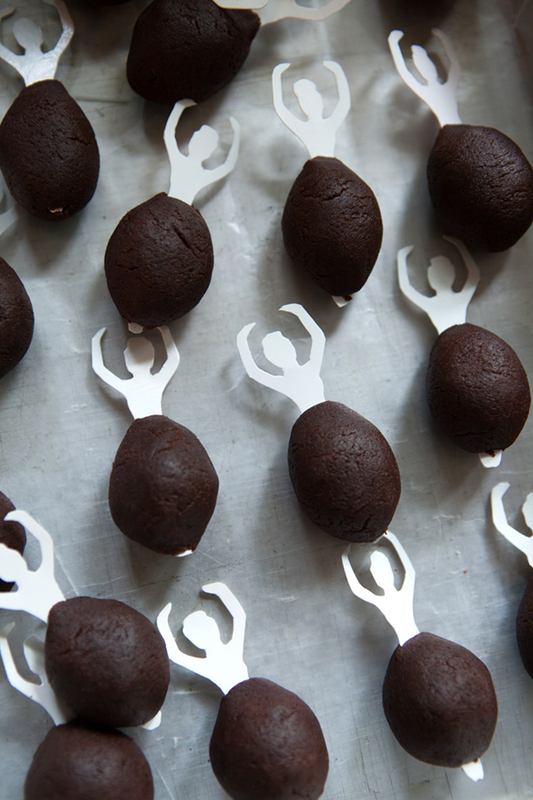 You can see the feet of the ballerinas sticking out of the bottom of several of the cake balls. 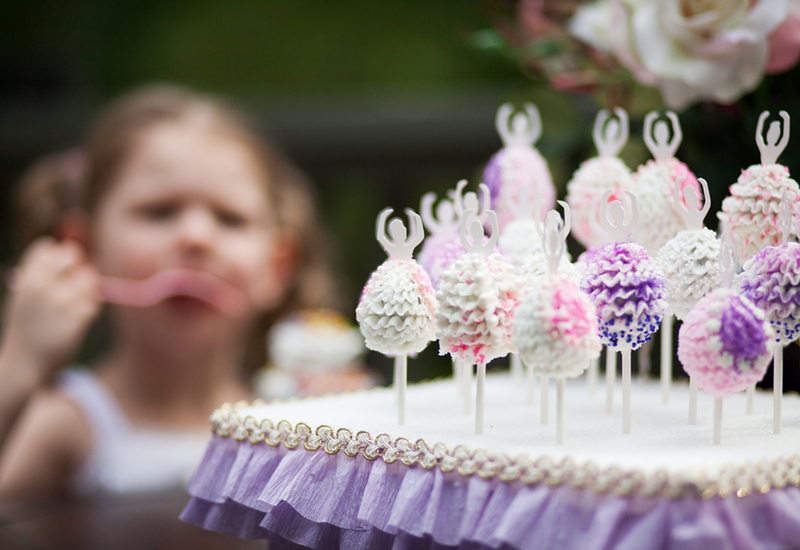 It would have been easier to just make picks but I wanted my Granddaughter to have a little plastic ballerina to play with when she was done eating the cake pop, so of course they had to have legs. 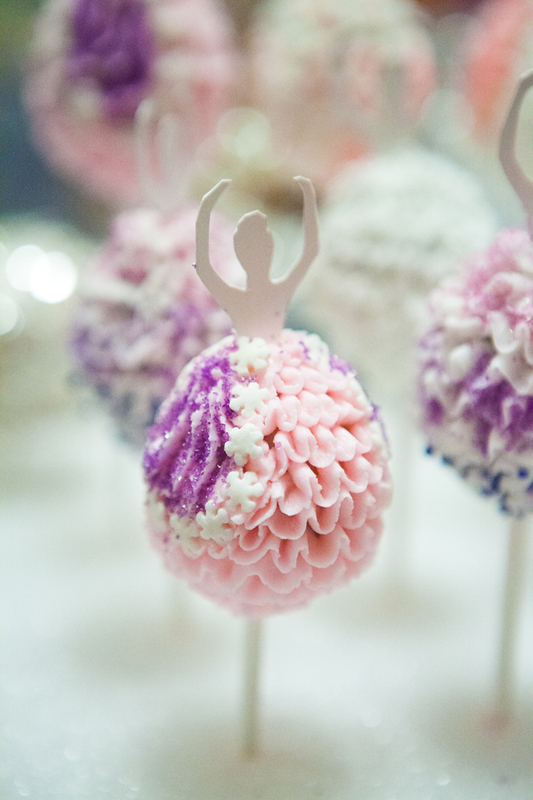 Since there was a ballerina in the cake pop, I could not dip it as usual. I spread the melted white chocolate around the ball with an offset spatula. These were placed in styrofoam and then placed in the refrigerator to chill. 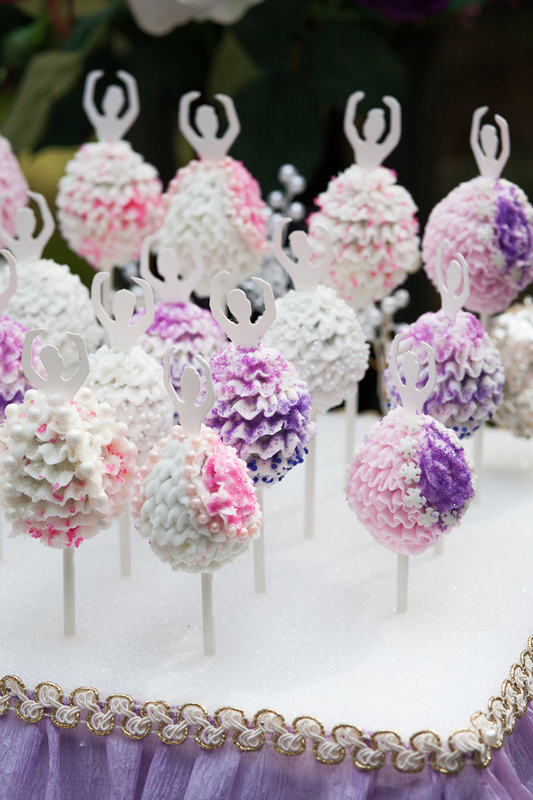 The prepared cake pops were allowed to come to room temperature before piping rows of sugar ruffles using a small rose tip. 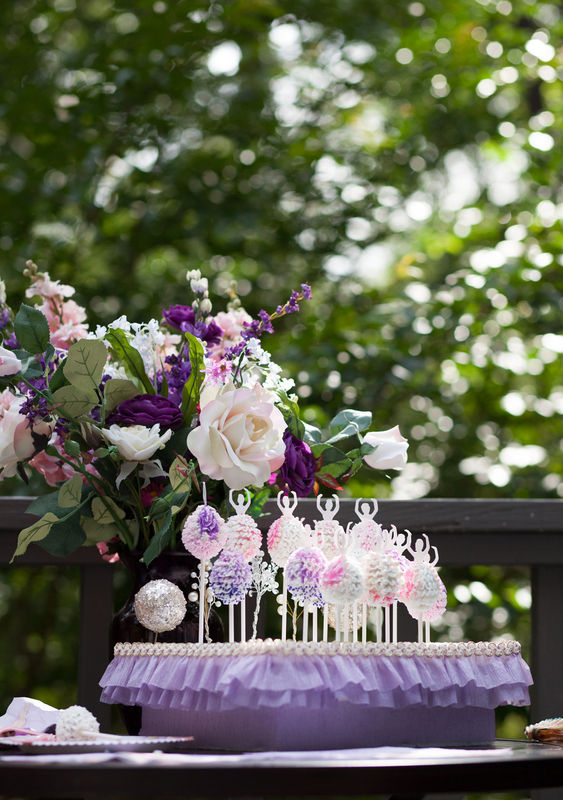 All the cake pops were placed on a stage made of styrofoam around which I pinned crepe paper streamers and gilded trim. 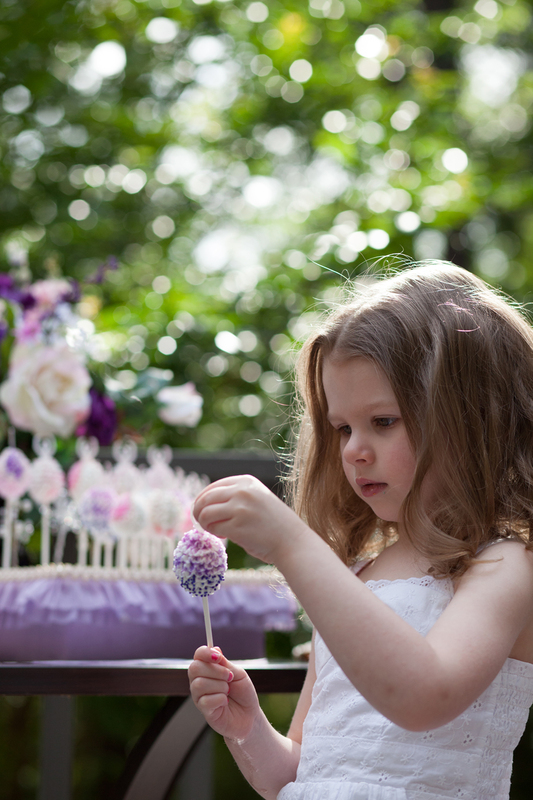 She loved the Ballerina Cake Pops. I was so happy! 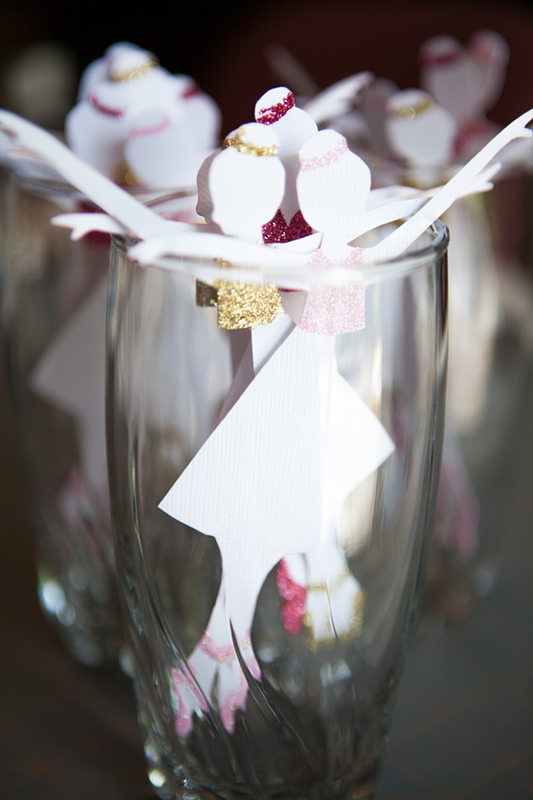 I made a banner of ballerinas but forgot to take a photo of them hanging at the party. Here are photos of the construction. The ballerinas were drawn in Photoshop, based on a similar project in Marie Claire Idees magazine. I had to modify the Marie Claire version since it was flat, not with a full honeycomb skirt. 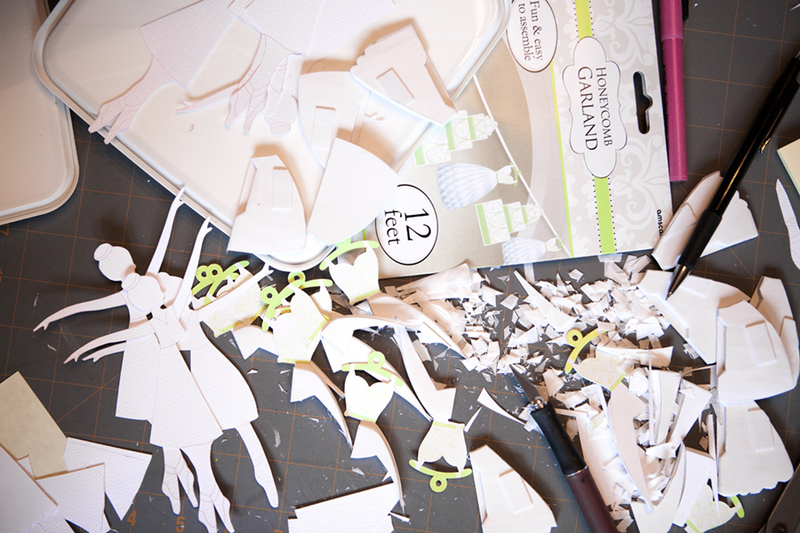 Here you can see the honeycomb bridal shower garland from which I cut the skirts. 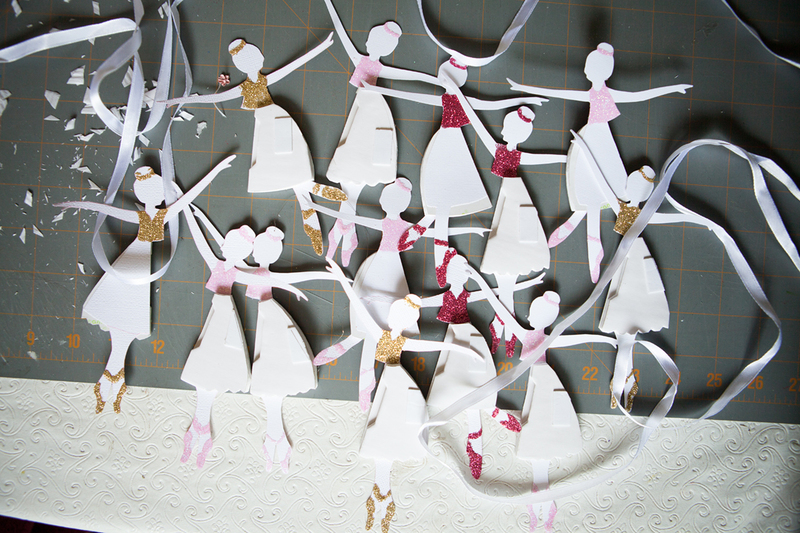 The ballerinas are drying after I applied glue and glitter to the shoes, bodices and tiaras. The ballerinas are prepared for hanging. 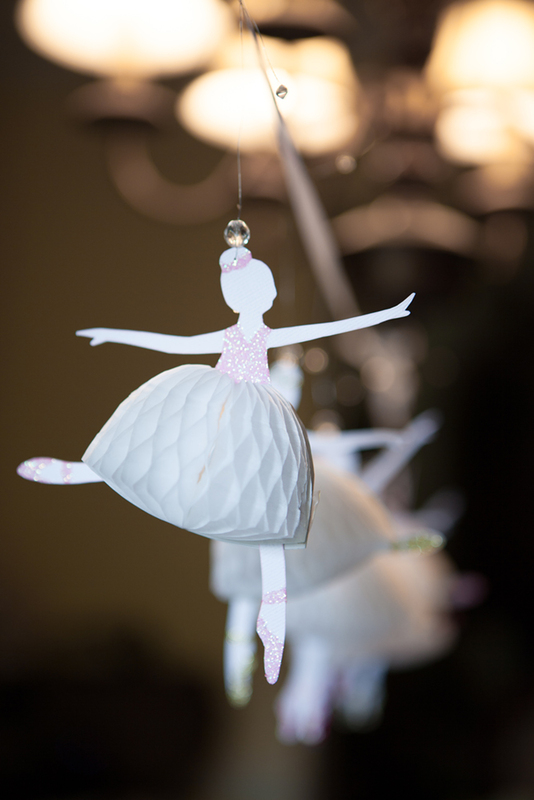 A single thin wire will be attached through a pinhole at the top of each ballerina and strung with crystal beads. 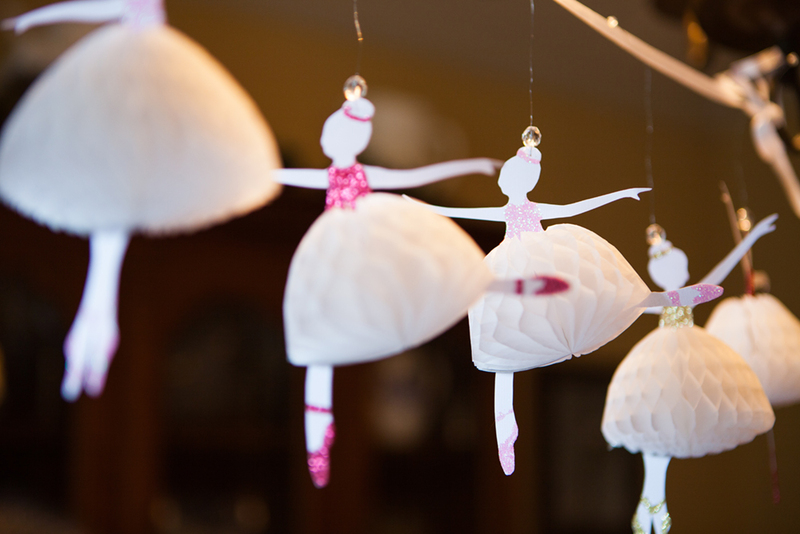 The ballerinas are hung temporarily in my dining room as I work on the hanging wires on each one They looked lovely at the party and I’m sorry I forgot to get a photo. 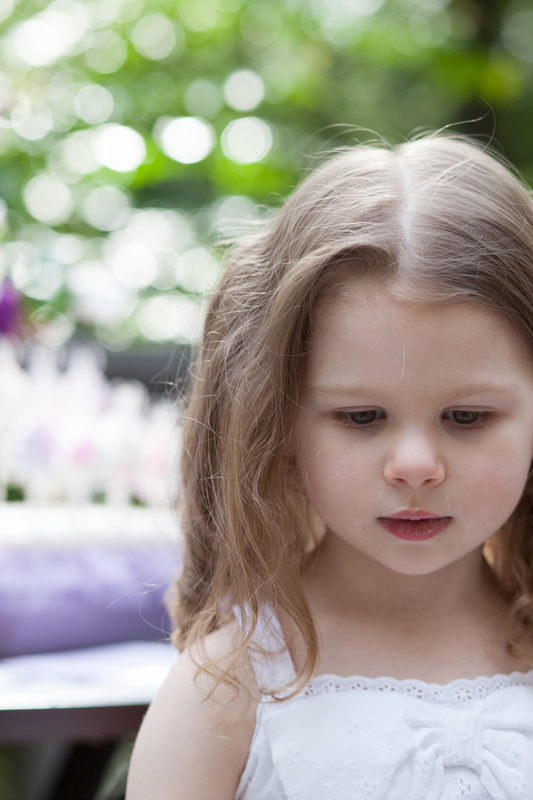 I just adore my granddaughter and there is no project too tedious or complicated that I wouldn’t do for her. 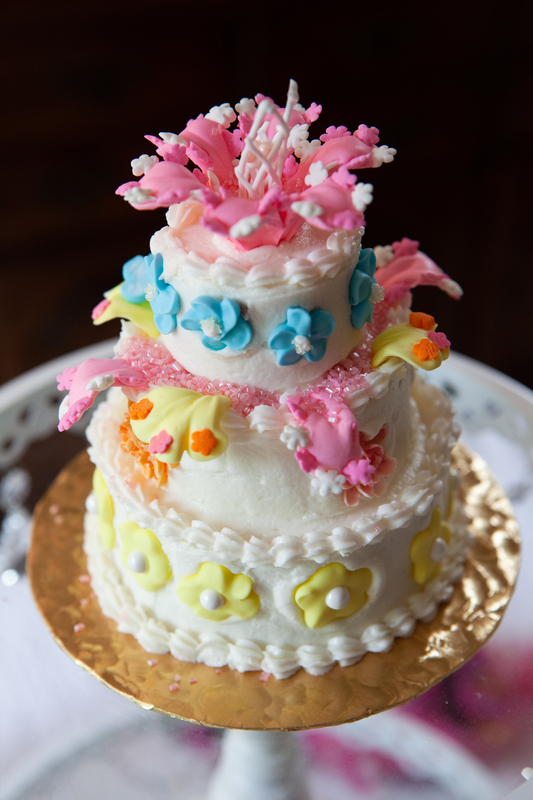 We celebrated the fourth birthday of my precious granddaughter today. There are more photos but I just had to post a few to commemorate the wonderful day. 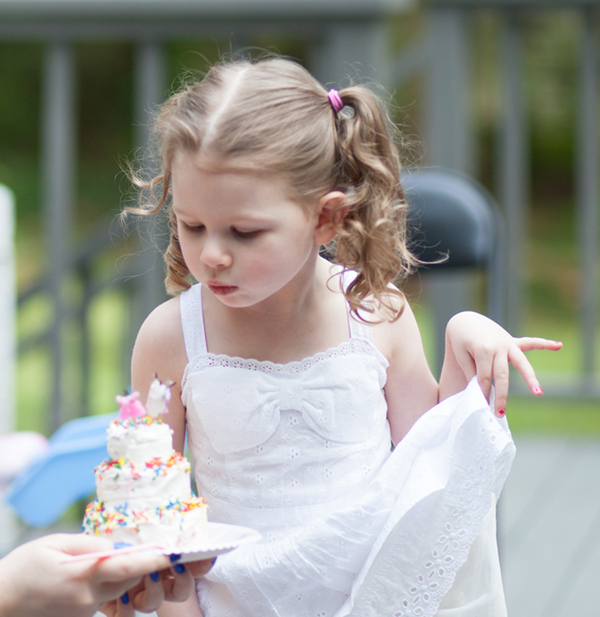 We were busy watching her blow out the candles so none of us noticed her hand daintily holding her dress until we saw this photo. 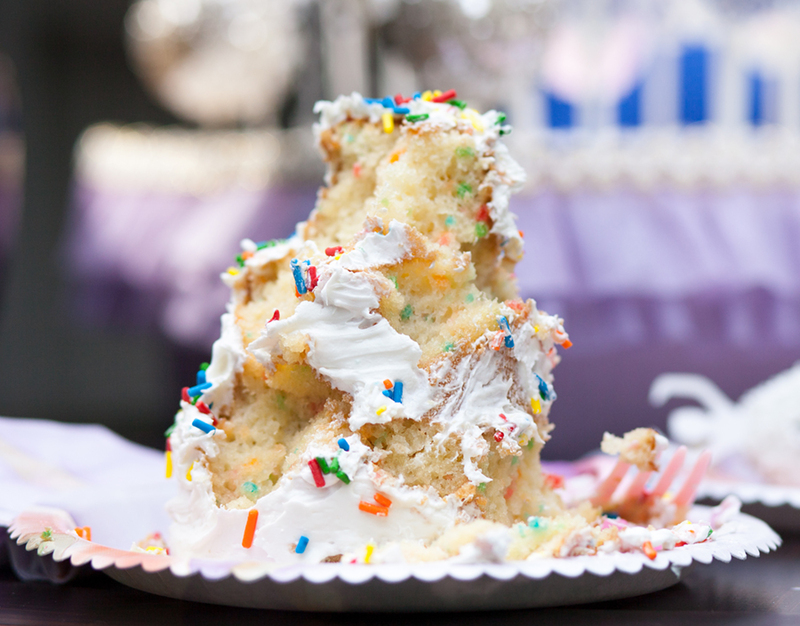 She nibbled bites from the side of her sweet little cake. 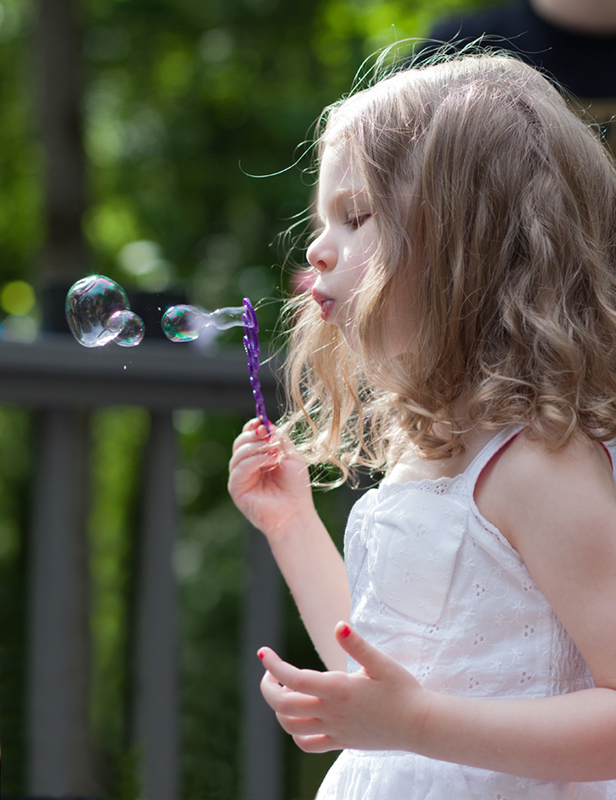 Of course we must blow bubbles. 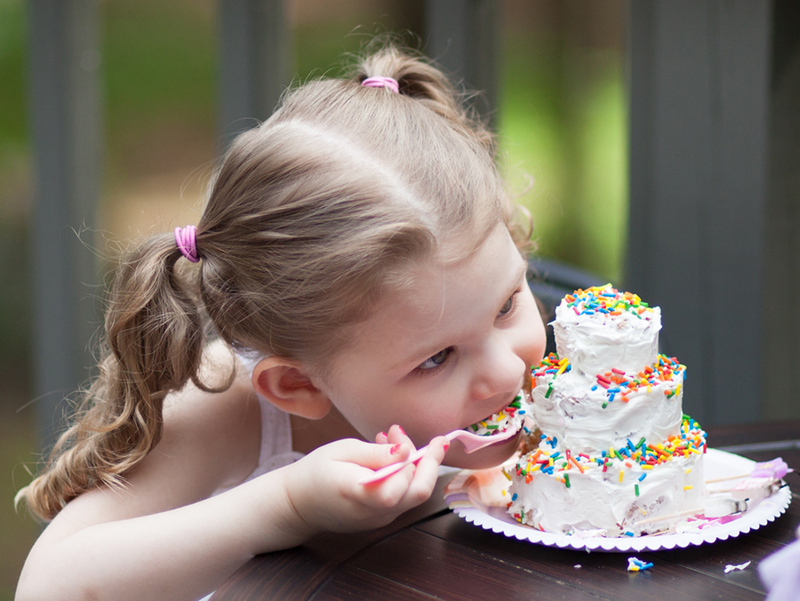 I adore her little cake with all the bites taken out of it! 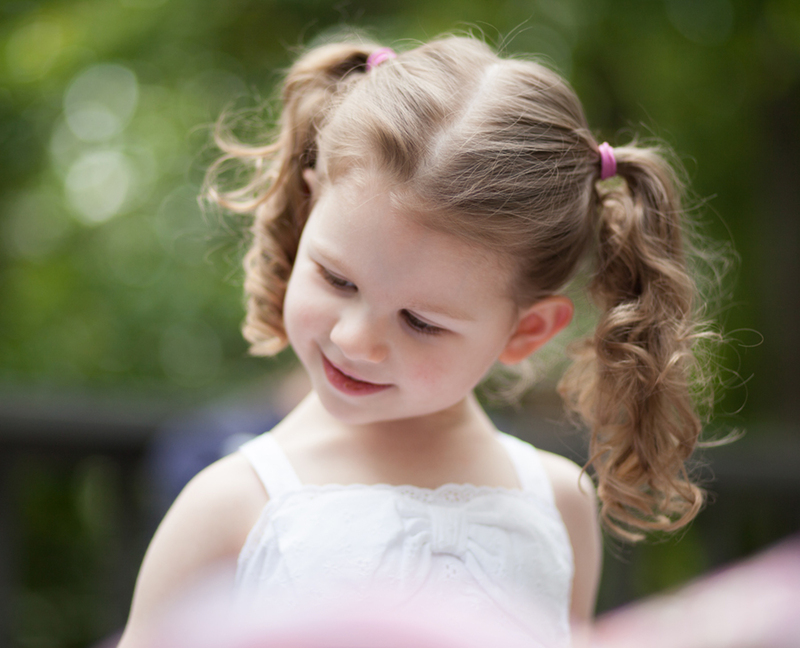 Happiness wears curly pig tails. Days like this have warmth that lingers long after the day is over. Love. The day was splendid with brightness. 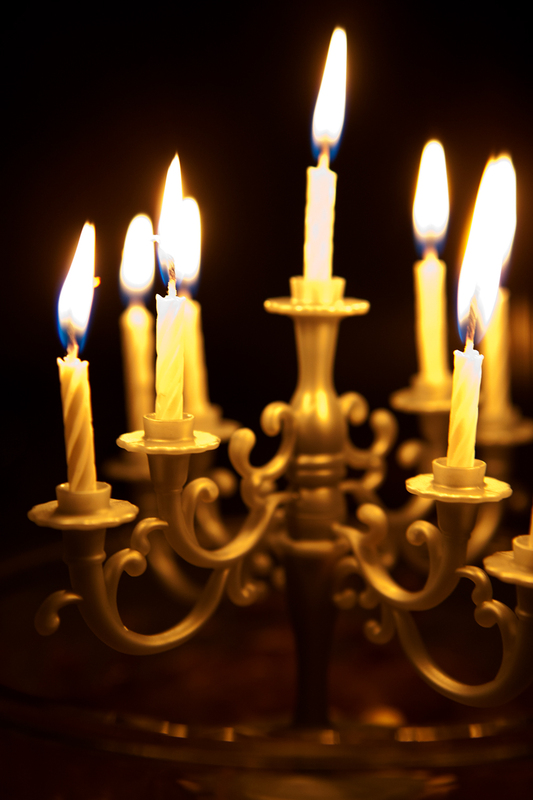 First in the smiles of my family gathered around, then in the candles on the cake. I am grateful to have reached the beginning of my 54th year. I am joyful that one of my sons shares my birthday and is beginning his 30th year on the same day. I’ve never understood why people hide their age. Every year is a gift from God and I’m glad for every one of them. Life is very, very good.